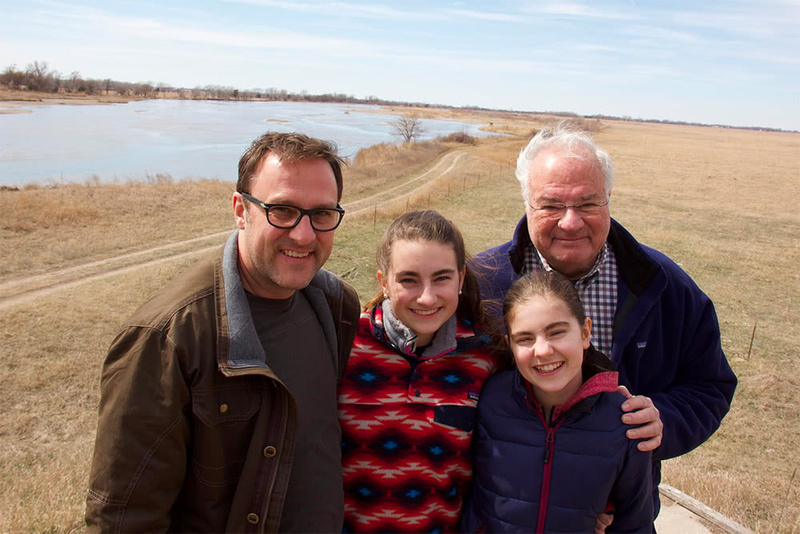 During a recent weekend in March, Marlene and I took our grandkids to witness one of nature’s miracles: the annual migration of the Sandhill Cranes. Each spring over a half million of these majestic birds pause on a narrow stretch of Nebraska’s Platte River to replenish themselves during their seasonal migration. The sight and sounds of this many cranes is, well, indescribable. The Sandhill Cranes come from Mexico, Texas, and New Mexico, breaking their trip in Nebraska on their way to Canada, Alaska and Siberia. (That’s right, Siberia.) It’s an epic journey of thousands of miles that these amazing birds make each year. While the simple spectacle of all these cranes is fascinating enough, our experience was made richer still by the insights shared with us by Chuck Cooper and Sandra Douglas of the Crane Trust. And, while they are not endangered today, conserving the natural habitats needed for the Sandhill Cranes is among the many issues my family and I consider when thinking about where The Ricketts Conservation Foundation should focus its attention.